4 sheets of glittered A4 die cut decoupage in 2 different designs. 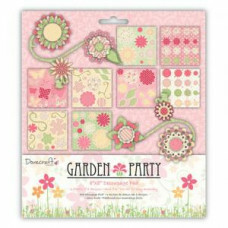 Dovecraft Christmas Fancy is pack..
Garden Party 8"x8" Decoupage Pad. Already die cut for easy assembly. 3 sheets each of 8 designs. Acid Free. Garden Party from Dovecraf.. Assortment of 48 papers and die-cuts of the Gorjuss collection. A4 paper measuring ..
Decoupage Pack - Gorjuss "Summer Days"
Santoro Gorjuss Decoupage Pack: Summer Days. The perfect additions to your next cards! 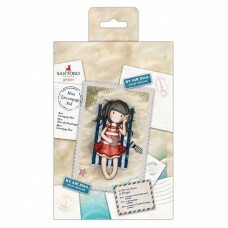 This pa..
Santoro Gorjuss Mini Decoupage Pack: Little Red. The perfect additions to your next cards! This..
Santoro Gorjuss Mini Decoupage Pack: The Getaway. The perfect additions to your next cards! Thi.. 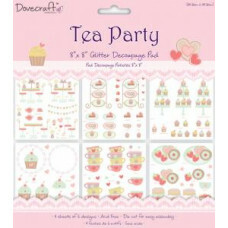 Tea Party 8"x8" Decoupage Pad. 24 sheet 8"x8" die cut and glittered decoupage pad in 6 different des..